The offence took place on Saturday the 17th of November 2001. 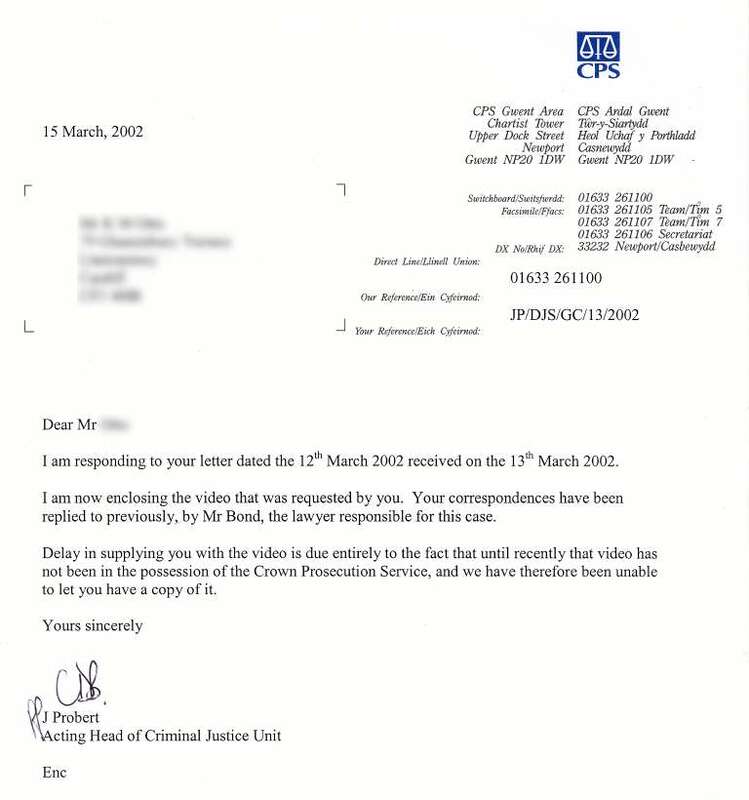 We've published some of the documents relating to this case below, but what actually happened was recorded on a traffic video. 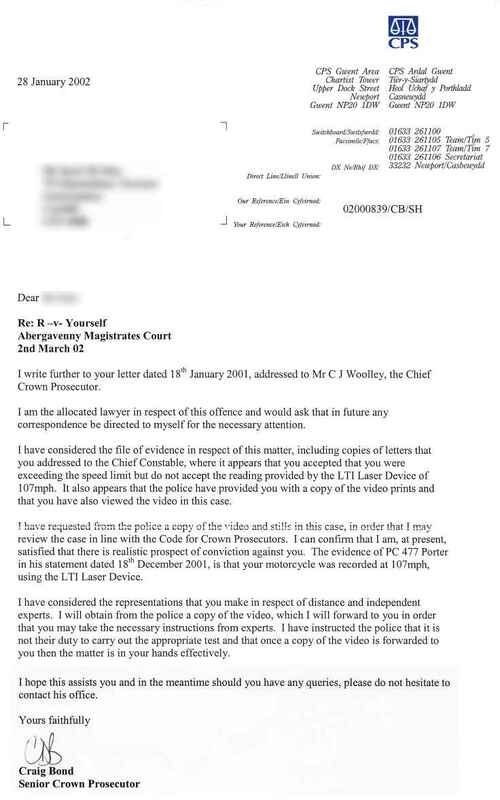 We intend to publish the outcome of the case shortly, but before we do we would like you to imagine that you are a Magistrate and see what you would have decided. The rider who has been riding motorcycles since 1977 has a clean licence. 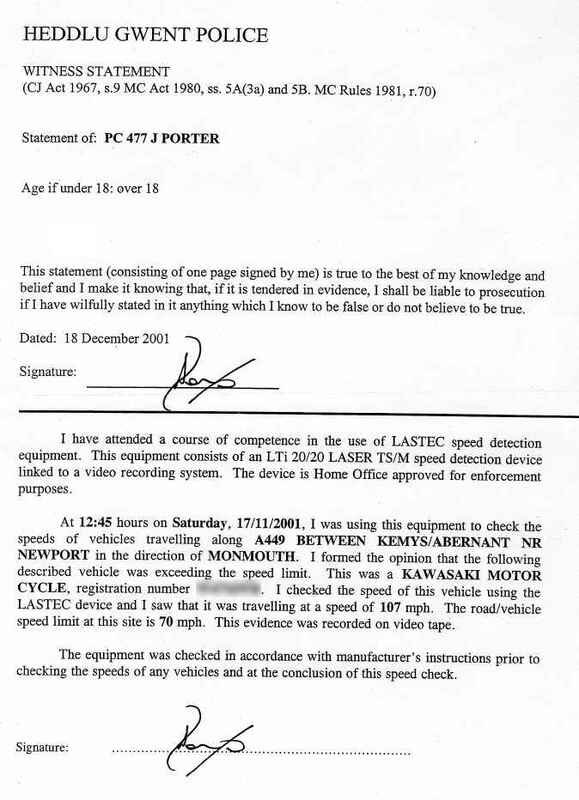 He was been prosecuted for riding at a speed of 107 mph. The video is recorded on the A449, about five miles north of Newport and, for those of you who know the road, the motorcycle is travelling north on the straight section of road that has a wind turbine at the northern end opposite a parking area. PC Porter, who was operating the LTi 20/20 Speedscope, is an experienced officer who is also authorised as an instructor in its use. The prosecution relied on the expert opinion of Mr Frank Garrett, who is the Managing Director of the company who supply the equipment. Note: Nothing on this website should be taken to imply any connection with or endorsement by Tele-Traffic (UK) Limited their officers or employees (including Mr Garratt). Before you watch the traffic video, you should familiarise yourself with the information that is recorded by the LTi 20/20 and this link has the details. Then you can download the video (1.33 Mb) from this link. The whole of Mr Garrett's report can be read by following this link. 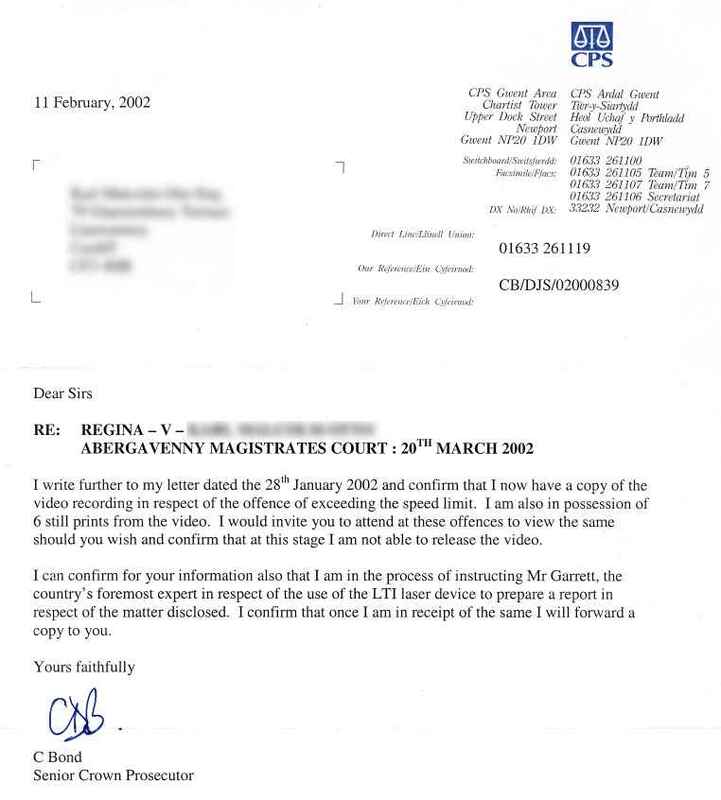 You may wish to read some of these documents and study the stills from the traffic video before you decide how you would have found if you were one of the Magistrates hearing this case. ... but then again, here's the video!